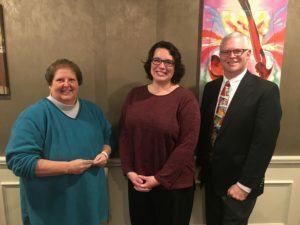 Rotarian Kimberly Fragola (center) receives her 2nd Paul Harris from VP Carol and Foundation Chair Dave. 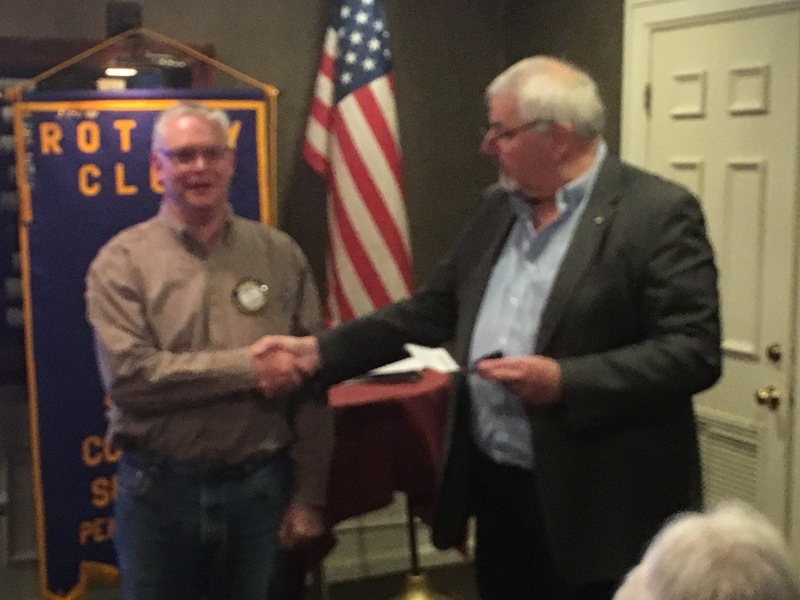 Dave Snowe receives 5 – pete Paul Harris Fellow pin. 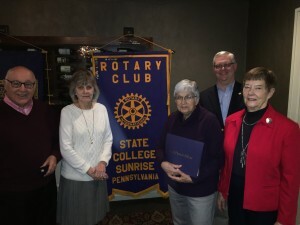 Induction of 4 Paul Harris Fellows.